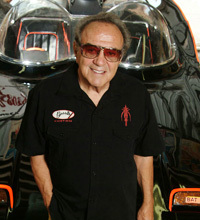 SEMA Hall of Fame - George Barris, 2013, Barris Kustom Industries. 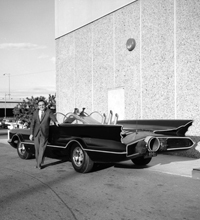 Is there a movie, television series or celebrity that George Barris hasn’t customized a car for? That’s the question you have to ask when visiting his shop in North Hollywood, California. 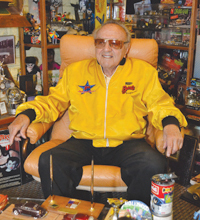 Every inch of the place is packed with photos and memorabilia from the countless stars he has known and the Hollywood vehicles he has built for them over the course of his 60-plus-year career. 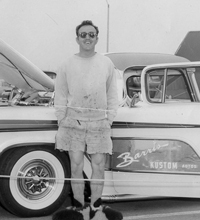 But it’s not his cars that Barris is most proud of; it’s the relationships he’s forged. 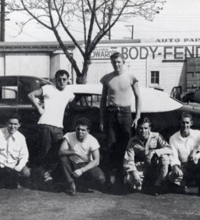 Indeed, Barris has known—and built cars for—an extensive roster of legendary customers: Clark Gable, James Dean, Elvis Presley, John Wayne, Frank Sinatra and the entire Rat Pack. The names go on. Given all his achievements, it’s amazing that his high-school principal considered him least likely to succeed. Barris was born in Chicago, but his mother died when he was only three, leading him and his brother to move in with an uncle in Sacramento, California. 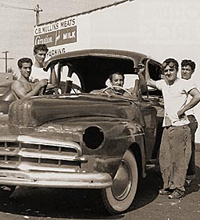 Barris quickly put his shop skills to work, customizing his first car at age 14—a ‘32 Ford with cat’s-eye taillights. He did eventually make his way back to high school for his diploma. 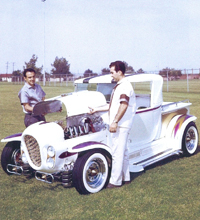 Then, after his brother completed military service, the two resettled in Lynwood, California, where Barris opened his first custom shop. And what’s his favorite all-time innovation? 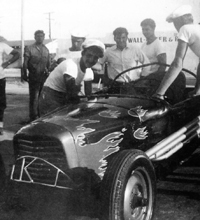 Moreover, Barris has always drawn heavily on specialty equipment to meet his challenges. In fact, if he faults today’s customizers for anything, it’s in forgetting their aftermarket roots. Barris has promoted grassroots customizing with many how-to articles for Motor Trend, Hot Rod, Car Craft and related magazines. And he’s still pushing fresh design trends for new cars, including hybrids. 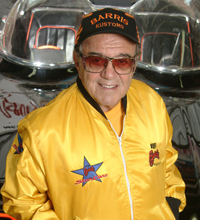 Despite a long list of international accolades, Barris considered induction into the SEMA Hall of Fame a special honor.